Three-quarters of the original Black Sabbath (or, as their photos might lead you to believe, the band’s only three members) reunited for the first time in seven years Saturday night at a lengthy “homecoming” show at the O2 Academy in Birmingham. In place of the absent Bill Ward, the band recruited frontman Ozzy Osbourne’s solo tour drummer, Tommy Cluefetos. The sorta-reunion came less than 48 hours after the band released a statement Thursday saying they would not lower themselves to respond to Ward’s lengthy open letter, which explained to fans that he wouldn’t be joining the reunion due to myriad “contract disputes” and ridiculous demands, and a little over 24 hours after the Black Sabbath website became a surreal alternate universe in which Ward never existed, insofar as its photo galleries were concerned. Before the show on Saturday, however, the rest of the band spoke up again on the whole debacle. 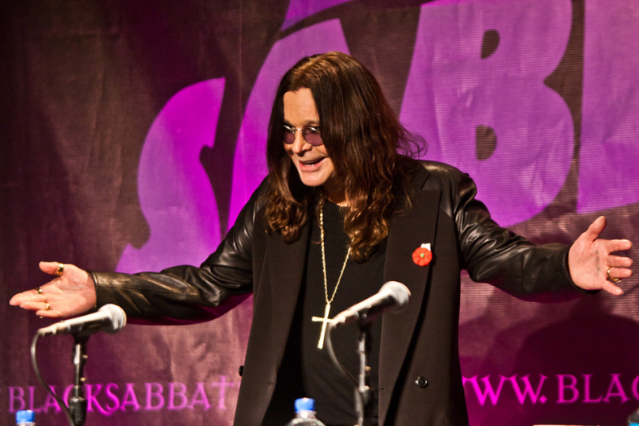 The trio released an official statement concerning the removal of Ward’s likeness from the site, indicating photos were altered “at the request of Bill Ward, through his attorney, so as to not give the public the wrong impression about his involvement in the current Black Sabbath lineup.” Bassist Geezer Butler explained that the reason Ward had been asked to play for free was that the O2 gig was a charity show (to benefit British veteran non-profit Help for Heroes). The day after the show (yesterday, May 20), Ward fired back yet again, claiming he had agreed to the charity show for free. At this point, we recommend taking a deep breath, watching 75 percent of Sabbath play “Iron Man” Saturday in the video below, and pretending all of this doesn’t exist (for particularly interested parties, someone also audio-recorded the entire show).